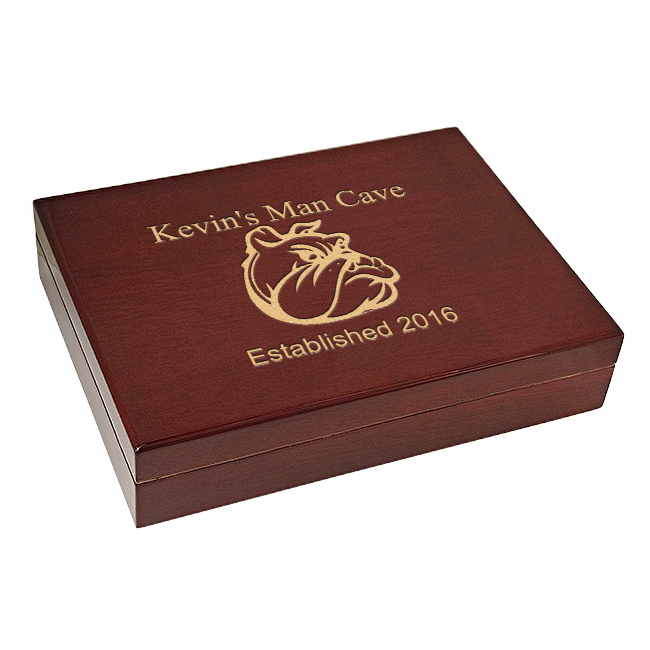 A mancave isn't complete without its own cigar humidor! 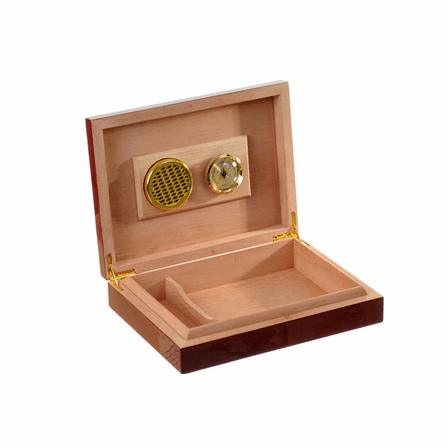 The cigar aficionado will love this rosewood piano-finish desktop humidor, with Spanish cedar lining. 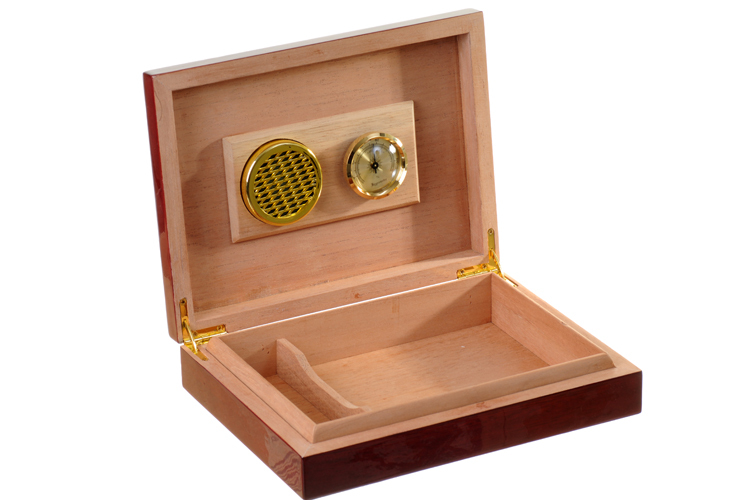 A hygrometer and humidifier are magnetically attached to the inside of the lid, and the humidor holds 30 of your favorite smokes! 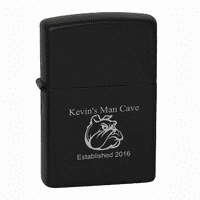 The cover features our "Snarling Bulldog" engraved design, and can be personalized for free, with a name and "date of establishment". 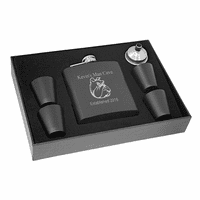 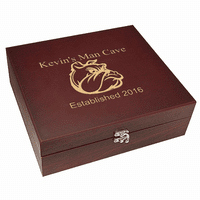 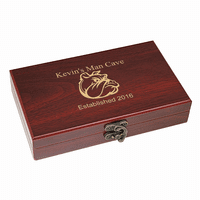 The cigar humidor comes packaged in a handsome gift box.